"The president has been pretty good on helping us in disasters so I'm hopeful," Brown said. "Tragedies bring people together"
Gov. Jerry Brown on Saturday called on President Donald Trump to help California fight and recover from another devastating wildfire season. Brown inspected neighborhoods wiped out by a wildfire in the Northern California city of Redding and the Democratic governor said he was confident the Republican president he has clashed with over immigration and pollution policies would send aid, which Trump did last year when California's wine country was hit hard. 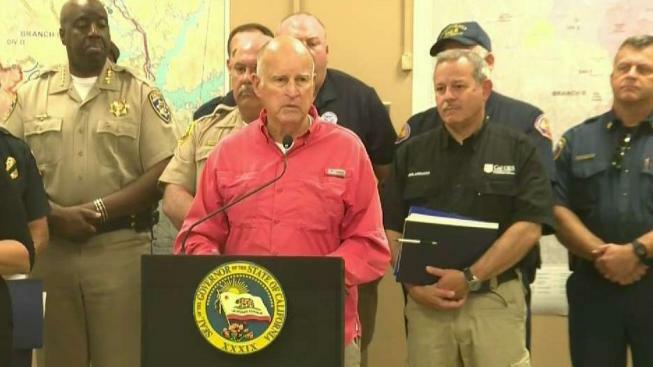 "The president has been pretty good on helping us in disasters so I'm hopeful," Brown said. "Tragedies bring people together." Almost 20,000 people remain evacuated as the Mendocino Complex is now the seventh largest wildfire in California history. Sergio Quintana reports. The biggest blazes continue to burn north of San Francisco, including twin wildfires fueled by dry vegetation and hot, windy weather. Those fires destroyed 55 homes and forced thousands of residents to flee their neighborhoods about 100 miles (161 kilometers) north of the city. They have grown to almost 250 square miles (648 kilometers). The Mendocino Complex fires are the two fires burning near Clearlake. One of the fires exploded overnight. NBC Bay Area's Sergio Quintana provides the latest from Lucerne, one of the communities that was evacuated Friday. 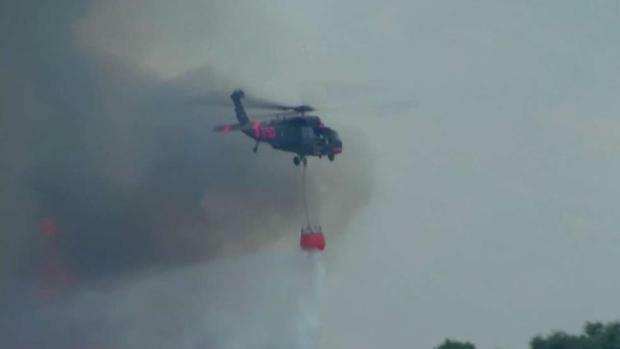 However, some days-old evacuations were lifted Friday in an area near Redding, where armies of firefighters and fleets of aircraft continue battling an immense blaze about 100 miles (160 kilometers) south of the Oregon line. 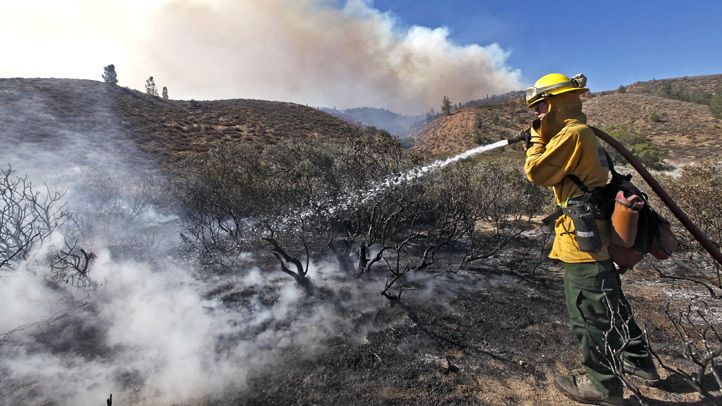 Some areas on the fire's southeastern flank were reopened to residents. Cal Fire officials said the so-called Carr Fire, which killed seven people and incinerated 1,067 homes, started two weeks ago with sparks from the steel wheel of a towed-trailer's flat tire. One of the deceased was a PG&E employee who died while working in the area of the Carr Fire Saturday. "The safety of our employees and our customers is PG&E’s top priority. Our thoughts and prayers are with our fallen team member, his family and our extended team. We are working with law enforcement to investigate the circumstances of the incident," PG&E said in a statement. The pair of fires that make up the Mendocino Complex were still going strong late Friday, but some evacuees are now back home. Mandatory evacuations in portions of the city of Lakeport were lifted Thursday. NBC Bay Area's Sergio Quintana provides the latest.